Chinese Singles' Day or Guanggun Jie (Chinese: 光棍节) is an entertaining festival on November 11th widespread among young Mainland Chinese people, to celebrate the fact that they are proud of being single. The date, November 11th (11/11), is chosen because the number "1" resembles an individual that is alone. 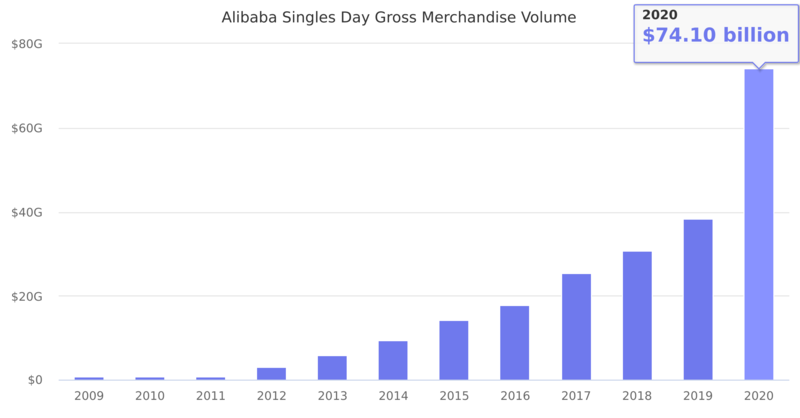 In 2009, Alibaba turned the day into the country’s version of Black Friday. This festival has become the largest offline and online shopping day in the world. From $17.79 billion in 2016 it increased by 42% to $25.30 billion in 2017.